Notice: Use of undefined constant tid - assumed 'tid' in __lambda_func() (line 10 of /home/aspentaintl/public_html/modules/views_php/plugins/views/views_php_handler_field.inc(207) : runtime-created function). Machinery and devices are getting smarter and have the potential to transform industries. 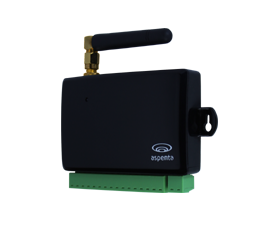 Aspenta’s technology makes out-of-the-box, wireless M2M connectivity of these assets possible, anywhere in the world. This enables real-time monitoring of operational status, historical performance data, and remote troubleshooting from any computer or smartphone. Our dedication to process automation and efficiency has led to the development of a strong set of tools to address how enterprise assets are connected, monitored and managed. We have overcome the complexities of implementing worldwide wireless connectivity and the prohibitive costs of doing so. We serve industries such as transportation and distribution, energy and utilities and retail. Improve your remote control and monitoring processes. Aspenta’s enterprise telemetry solutions enables you to quickly identify problems and remotely manage and control your equipment.